Only one technical bid was made for the project to build a cable car line in Chilean capital Santiago, presented by the original proponent of the US$80mn development. Despite there only being one bid, the head of the MOP's concessions unit, Eduardo Abedrapo, said that a total of 22 companies purchased the bidding documents and that "the interest generated by this initiative is good news for the concessions system." The economic offer for the Bicentenario cable car will be opened on January 12. The project entails the construction and operation of a 3.4km cable car system connecting Santiago's Providencia and Huechuraba districts. The cable car will have three stations and will transport 3,000 passengers per hour in each direction. The design of the line, however, has attracted critics from Providencia district and mayor Evelyn Matthei presented a legal challenge to stop the tender in October, arguing that, as it is designed now, it would actually worsen local traffic. Matthei told daily La Tercera that she still opposes the design of the line, athough not the project itself. 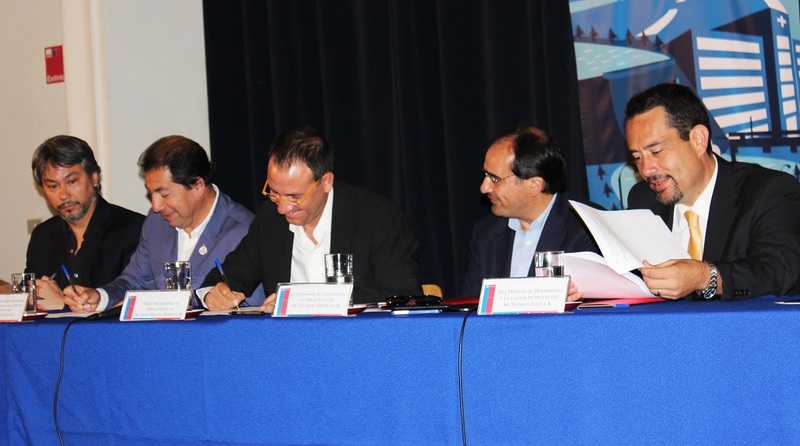 Abedrapo said that the MOP is working with the transport ministry on a similar project to connect the northern city of Iquique with the municipality of Alto Hospicio, while prefeasibility studies have started for another cable car line for Valparaíso.